The Jordan Super.Fly 2 was also featured in Jordan Brand’s 2014 All Star Crescent City collection that hit the market during the weekend. This sneaker, which is usually associated to Los Angeles Clippers superstar Blake Griffin, was released in a Clippers-looking edition. 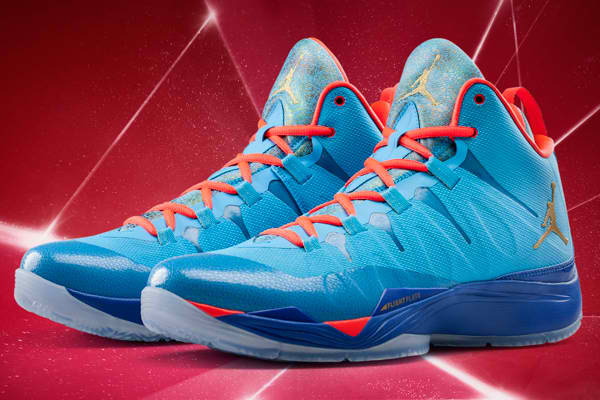 The Jordan Super.Fly 2 “All-Star” features a dark powder blue upper part accented with gold and infrared 23 hints. This edition, which is listed as the Dark Powder Blue/Metallic Gold-Infrared 23 colorway, is now available at $130 per pair. Check this kick now because it will only be available on a limited basis.